If you need to loan money, there are various different kinds of loans out there. Before you can determine exactly which kind of loan you need, there are various things you need to consider. For a start, you need to think of how much you’ll need. Some loans over cover a small amount, while some are intended for the long term. Short term loans often carry higher interest rates, and you can get charged a lot for not paying back in time. Longer term loans keep this into consideration- while you’ll still pay interest, it will be a slow increase over time. There is also the consideration of what the loan is for. Some loans are designated for specific purposes- for example, Student Loans. Some are for business, usually requiring a high borrowing amount paid off over a long time. There are also personal loans, which are usually low, short-term loans with no prerequisites for usage. There is also a difference in the security requirements between different loans. Secured loans mean your assets will be taken into account. If you fail to pay back the required amount in due time, your home and other assets may be repossessed to pay off the amount due. Secured loans generally require a lot of paperwork to be done. They are generally used for long-term, high-amount loans, such as mortgages or business loans. As more assurance is given that they will be paid back, they are able to borrow more and given more time to do it. Unsecured loans require much less assurance. However, they do require you to have a high credit score to prove you are trustworthy. The approval time for these is generally much faster. However, you may have to pay more interest. These are generally used for personal loans, for example a loan to pay off a car. Closed-end credit is when the amount of the loan is paid in full to the borrower. The borrower must pay back the full amount of the loan, plus interest. Whatever they have paid back, they can not withdraw again. This means that if they find they need more money than they originally thought, they would need to take out another loan. Closed-end loans may be preferable for people who know exactly the amount they will need. If they are certain of what they need and when they will be able to pay it back, a closed-end loan shouldn’t be a problem. Open-end loans give borrowers much more flexibility. They will have access to the full amount of the loan, but only take what they need. Additionally, they only need to pay interest on the amount they have borrowed, as opposed to the full amount. They can also withdraw money they have paid back. Open-end loans are better for people who may need to borrow money, but are unsure of how much and when. Credit cards often involve an open-ended line of credit. There is a wide array of different kinds of loans out there for different purposes. Here are some of the most common ones. Signature loans are a kind of unsecured loan. They depend on the good faith of the borrower, as opposed to being tied to any assets. Signature loans are a kind of personal loan and can be used for any purpose. The amount you can borrow and length of time to pay it back can vary greatly with signature loans. Because of this, they are a good choice for a great deal of purposes. While you can get signature loans from a bank, there are companies that supply online signature loans, expediting the process. Because signature loans are unsecured, interest rates can be high. Failure to pay them back can also damage your credit score. However, if you’re confident you will be able to pay them back in due time, they can be a great option for a personal loan. Payday loans are short-term loans with some of the highest interest rates. They are commonly used for people who need to make a purchase instantly, but will be able to pay it back when they get their pay check. Because of this, they are amongst the fast and easiest to get. 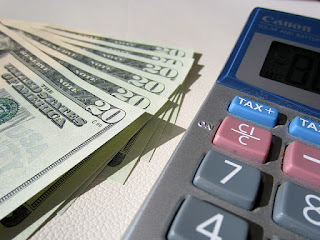 Many companies provide instant payday loans, and no security is required. They are often used in emergency situations, when money is required instantly but will be paid back in a short time. Payday loans can be problematic and aren’t recommended for long-term purposes. One of the most common loans, mortgages are designed for people buying houses. Because buying a house is such a large investment, a mortgage allows borrowers to pay it off in the long term. Since they are long-term loans, mortgages have amongst the lowest interest rates of any loan. However, they do require security. If a borrower falls behind on their periodic payments, they risk having their house foreclosed. Mortgages can be a big commitment. It’s important to be sure you want to buy a house before taking one out. People may decide they want to move in a few years, or they may wish to travel. In these cases, renting may be a better option. Buying a house with a mortgage should only be done with absolute certainty. Designed for people planning to go into higher education. Student loans are intended to cover tuition costs for students enrolling in college or university. Some can also cover the living costs of a student travelling away from home to study. Student loans can differ depending on the country you’re from. In the UK, student loans are largely provided by the government. In America, multiple organisations provide student loans, and students may have to compare companies to find the best deal. Student loans are usually designated to cover the years the student is studying. They are usually paid off in the long-term, taking a periodic portion of the student’s earnings after they graduate. There are various ways to get funding for a business. Short-term or long-term business loans can be taken out at banks. This usually involves a meeting where business plans are presented to ensure it’s a smart investment. Businesses can also use investors, who they pay back later on down the line when their business is up and running. Business owners can compare business loans to find out the best way to finance their business. Entrepreneurs heading into the business world can also find Start Up Loans or grants to fund their operations. Similar to loaning, financing allows you to make a purchase upfront and pay it back later. Financing is common in car purchases. It has also become common in various online stores, particularly for expensive purchases like computers or smartphones. Financing usually involves paying back small monthly payments to cover the full cost of a purchase. Financing can sometimes involve interest, meaning you’ll pay more than you would have upfront. Financing can be useful for people who want to make a large purchase and pay it off in smaller instalments. You can, of course, always borrow money the old fashioned way. Borrowing money from a friend or family can be quick and easy. However, they are not obligated to give you anything and loaning from close ones can strain personal relations. You may be free from interest, but paying them back is important. If you don’t pay back a personal loan legal action can be taken against you, even if it is a family member you borrowed from. Many banks provide overdrafts on their debit and credit cards. This means when you don’t have money, you can instantly pay using your card and pay it back later. Banks usually provide a limited interest-free overdraft. Some let you go past the limit if you’re willing to pay interest. Every bank is different so you should compare accounts before deciding which to go with. Student accounts generally provide large overdrafts to help with the living costs of studying. Overdrafts are a good way of borrowing instantly and as long as you don’t surpass your limit, there shouldn’t be any drawbacks. Just be sure not to make a habit of going into your overdraft. Personal loans come in various different types, including some of the ones listed above. In addition to getting personal loans from independent or online lenders, they can also come from the bank. Prerequisites of personal loans can differ depending on how much you need and how long for. Some may require security while some may be easier to get. There are many ways out there to borrow money, so if you need to take out a loan be sure to make the right decision. Be sure to loan responsibly- it is always best to manage your own personal finances and only borrow money when you absolutely need to.